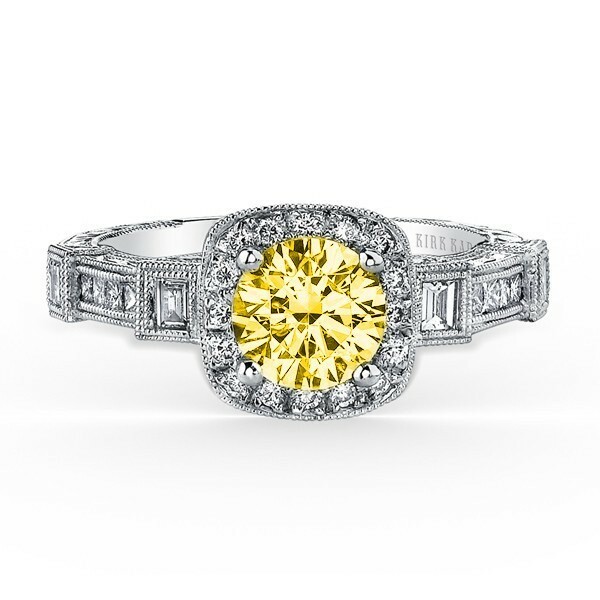 From Kirk Kara’s award winning Carmella collection, this stunning ring is set with a .84 yellow diamond at the center. With highly detailed accents like . 60 ct peek-a-boo diamonds and fine milgraining, this ring is handcrafted perfection!